Catalfano Brothers specializes in both commercial and residential roofing as well as siding, windows, doors and gutters in the Villanova Pennsylvania area. 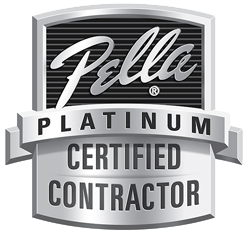 With over 15 years industry experience as a Villanova roofing contractor, you can rest assured that the job will be done right. Catalfano Brothers is a Certainteed Select ShingleMaster contractor and a 5-star Vinyl Siding and Trim contractor. We set high standards for ourselves and use only the highest quality products for your job. We are skilled in installing a variety of roofing systems, including asphalt shingles, cedar shakes, slate, tile, and metal. Did you know that in many instances your roof can be repaired rather than replaced? This can save you thousands of dollars in needless expenses. But many Villanova roofing contractors will tell you that a replacement is needed because they can charge you more money for a complete roof replacement. In fact, most Villanova roofing companies don’t even touch roof repairs. All they want to do is go around slapping new roofs on homes, many times carelessly, which can void your manufacturer’s warranty. No matter what size your business or commercial building is, Catalfano Brothers is the best choice you can make when it comes to commercial roofing services in Villanova PA and the surrounding areas. We’ll work with any of your architects and contractors to develop a customized roofing plan for your new commercial construction. Or, if you are the proud owner of an existing commercial structure requiring re-roofing, roof repair, gutter cleaning or emergency roofing services, our Villanova roofing contractors are up to the task. There are many people that can be disrupted during a commercial roofing job. Here at Catalfano Brothers our professional commercial roofers have learned the art of commercial roofing, from Villanova roofing repairs to replacements. We understand what it takes to make each job as seamless as possible. Working closely with building owners and managers has proven to be a key factor for completing work smoothly. Our professional Villanova roofing contractors are able to provide many options that will best meet the requirements of each building as well as offer service plans which will increase the life of your commercial roof. We know commercial roofing is hard, and that’s why we strive to make the process as simple as possible – for you, your employees and your tenants. If you are in need of Villanova roofing repairs for residential or commercial buildings or are looking for a Villanova roofing company in Villanova PA 19085, call us at (215) 884-1266 or fill out our contact form here.